What part of your body controls your weight, metabolism, risk of autoimmune or metabolic disease, susceptibility to depression and anxiety disorders, and ability to confidently go more than 10 minutes away from the nearest bathroom? Your gut! To say that Paleo is big on gut health is a serious understatement. Your gut obviously isn’t the only thing controlling your health, but it controls a lot more than you might think! With so many important functions, the gut can get really complicated, really fast, and it’s hard to understand all the studies or put the pieces together. So here’s a simple breakdown of the basics, focusing on graphs and diagrams to help you get a handle on what exactly is going on in there. Gut flora, aka the gut biome, gut microbiome, or gut microbiota, are friendly bacteria that live in your gut. Gut flora help your immune system distinguish between your own body and dangerous invaders. They help regulate inflammation all over your body, not just in your gut. And of course, they also help absorb nutrients from your food. The two main categories of bacteria in your gut are Bacteroidetes and Firmicutes. Your gut flora change over the course of your life. High blood sugar and even Type 2 Diabetes are also associated with changes in the gut flora. Gut flora also have a strong effect on the brain. Gut flora can actually affect mood, cognition, and pain sensitivity by sending signals up the spinal cord to the brain, and the brain can send signals back that affect gut function. Diseases that involve problems with the gut flora, like Irritable Bowel Syndrome, are strongly associated with mood disorders like anxiety and depression. 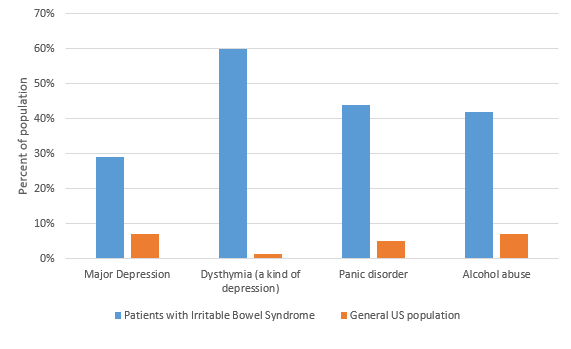 Data sources: mood disorders in IBS, major depression in US, dysthymia in US, panic disorder in US, alcohol abuse in US. Gut flora are also important in autoimmune diseases, sleep quality, and (of course) digestive health. Diet and supplements (like prebiotics and probiotics) can help regulate the gut flora, but there are still a lot of unknowns and it’s not clear exactly which supplements do what. Here are some tips on keeping your gut flora happy. Moving on from the gut flora to things that are actually parts of you, the gut lining is the wall of cells that separates your gut from the rest of your body. 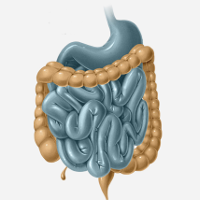 Everything inside your intestines is technically outside your body – these cells are in charge of choosing what to let in and what to keep out. 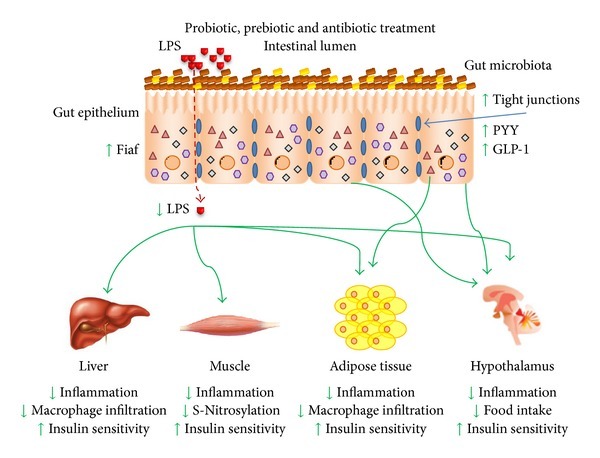 The gut lining is key to autoimmunity. If the wrong stuff gets through the gut lining, the immune system inside your body attacks it. Some food proteins “look” a lot like your own body’s cells, so your immune system can get confused and attack your own cells as well. That picture shows damage to the gut lining in Celiac Disease. Celiac Disease is an autoimmune disease triggered by eating gluten (found in wheat and other grains). Gluten triggers the release of a protein called zonulin, which makes the gut barrier too permeable and causes an autoimmune reaction. Gluten > Zonulin > Intestinal Permeability > Diseases beyond Celiac? 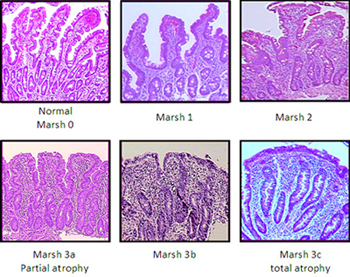 Intestinal permeability and zonulin release is also involved in other autoimmune diseases. 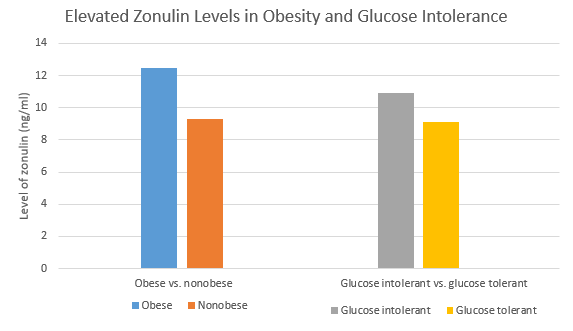 Even in people who don’t have Celiac Disease, high levels of zonulin are associated with autoimmune disease, and also with obesity. This is one piece of evidence for the claim that gluten causes problems outside of straight-up Celiac Disease. Zonulin is also involved in obesity, suggesting that obesity may have an autoimmune component triggered by damage to the gut lining. 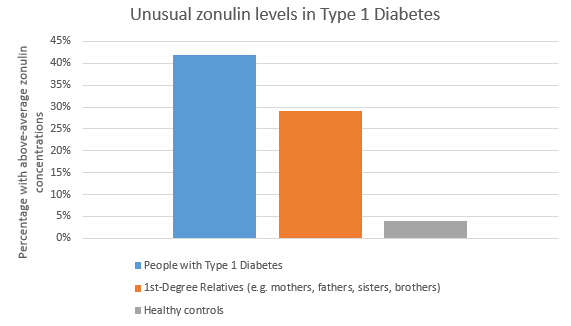 Zonulin is a sign of damage to the gut lining. 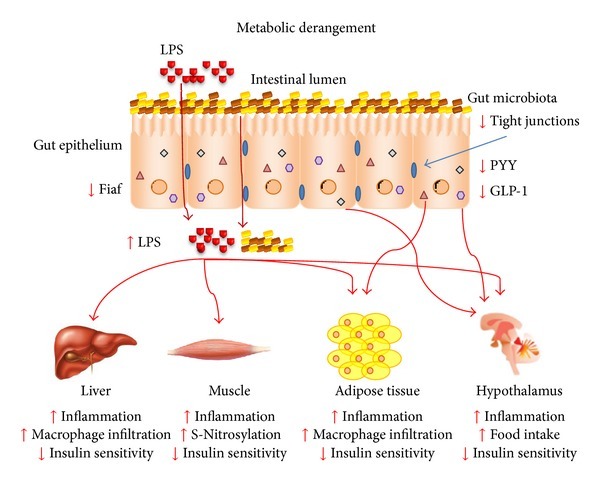 These graphs suggest that damage to the gut lining could be involved in many autoimmune diseases, and even in obesity. On the left: a normal, healthy colon. In the middle, inflammation in a patient with Inflammatory Bowel Disease. On the right, inflammation that got so bad it lead to ulcers and bleeding in the lining of the gut. The gut flora also affect the gut lining – these aren’t two completely unrelated things! 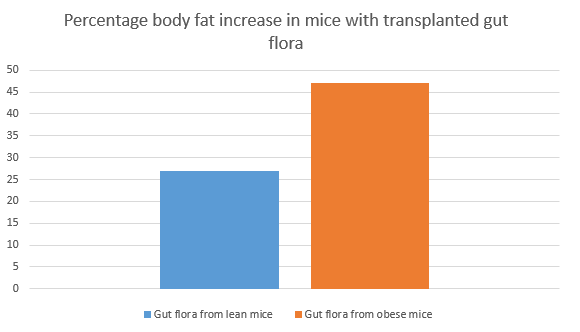 These two diagrams show how the gut flora can change the gut lining, and how those changes can affect things you probably care about, like hunger signals, metabolic health, and inflammation. Metabolic derangement (obesity, diabetes, etc.) changes the gut flora in ways that cause more inflammation and immune dysfunction. Modification of the gut flora (with probiotics, prebiotics, or antibiotics as necessary) helps keep the gut lining healthy, reduce inflammation, and promote leanness rather than obesity.